Place pork into slow cooker. In a bowl, whisk together tomato sauce, cumin, brown sugar and garlic until smooth. Pour over pork. Cover and cook on low for 8 hours. Before serving, shred meat with two forks. 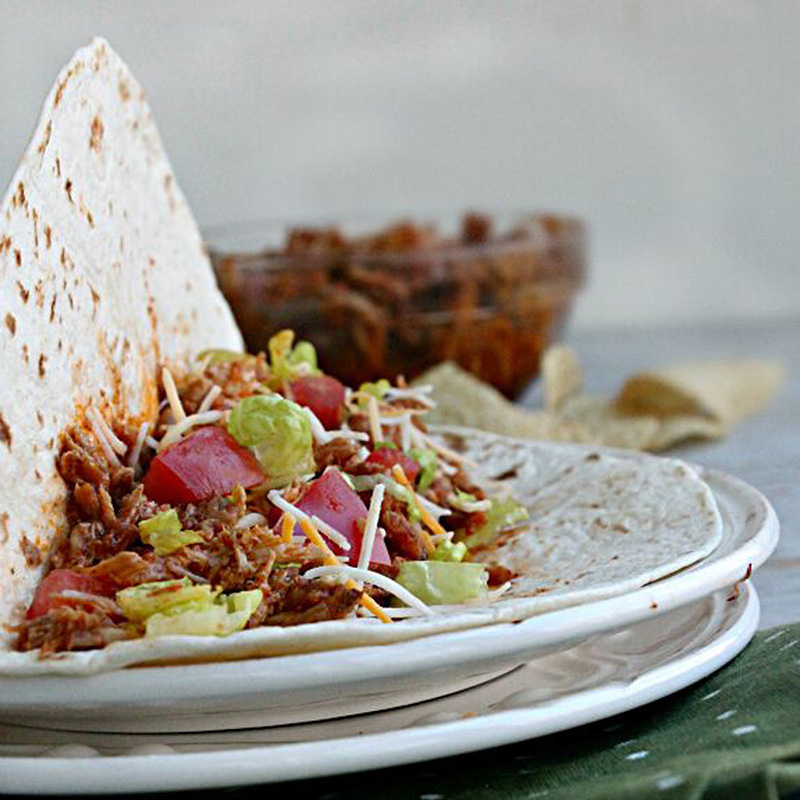 Serve on soft or crispy taco shells with desired toppings (ex: lettuce, cheese, olives, onions, tomatoes).